I grew up watching animes especially when I got so bored and I don’t have anything to do. The feeling of every second that passes and then turned into minutes, from minutes into an hour for me is just like an endless process in my everyday life through which I could not escape. The habit of watching animes starts from 9am, I felt like I am the most powerful person in the world for I conquer the living room as well as our television set. Haha! Soon the habit became an addiction to me which made my mother angry at the moment that I’ve beginning to watch my favorite animes. 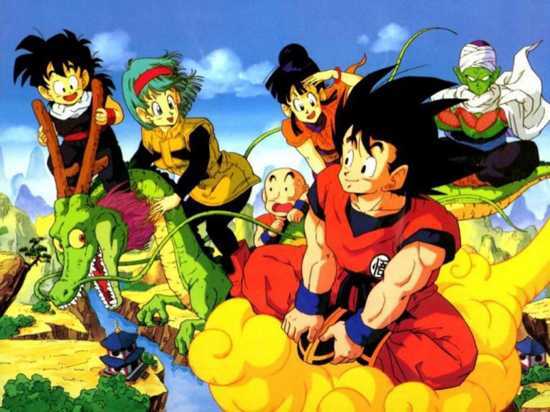 One of my favorite is Dragonball which is first aired on 1984. Dragonball tells the story about a man named Goku, who set up his journey to be able to find the seven magic dragon balls and that he battled his popular enemies like Frieza, Cell, Majin Buu and Vegeta- to save the world from these various foes using the magical powers is his mission. The viewers enjoyed watching this anime and were replayed various times because of the insisting public demand. Later, the revised edition was aired until now, with the same characters, same mission and more powerful enemies. Dragonball is an anime that is full of action scenes that caught the attention of its young viewers and those who still love the old style animes. The next is Naruto. Ever since it was aired, it took the highest rate of people watching this Japanese anime. It primarily tells about the adventure of a ninja which is Naruto in his dream to be a Hokage in the town of Konohagakure. The story also tells about the great friendship between Uzumaki Naruto, Uchiha Sasuke and Haruno Sakura even at the times of struggles and evil plan of Orochimaru. 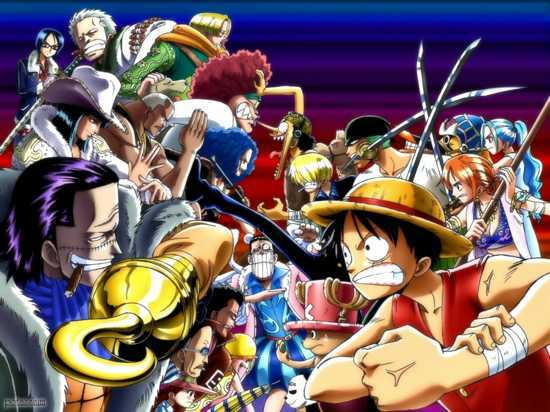 One of the longest ongoing anime series, One Piece is a definite must for this list. Sadly most of the early episodes were heavily censored during the making of an English dub by 4kids, though this should not cloud one’s opinion of the original anime. One Piece follows the quest of seventeen year old Monkey D. Luffy, a boy with supernatural powers gained from eating a magical fruit, who along with his rather ragtag crew, travels the Grand Line in search of One Piece, the ultimate treasure. The plot is beautifully set in an amazing fantasy world, with individual characters and great story arcs. Death Note. 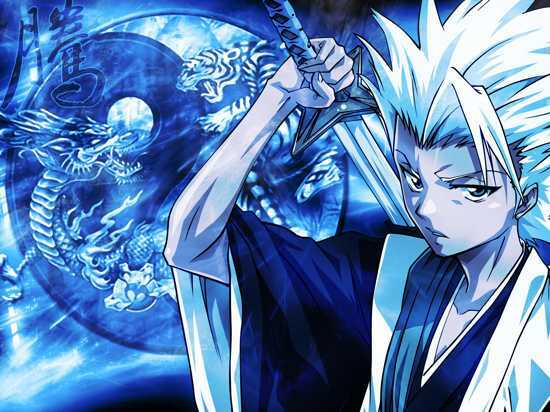 When I was on fourth year high shcool, I got so very intrigued with this hit Japanese anime. And then my classmate to whom I hide by the name of Yen, which is an anime lover insisted that I should watch this anime. 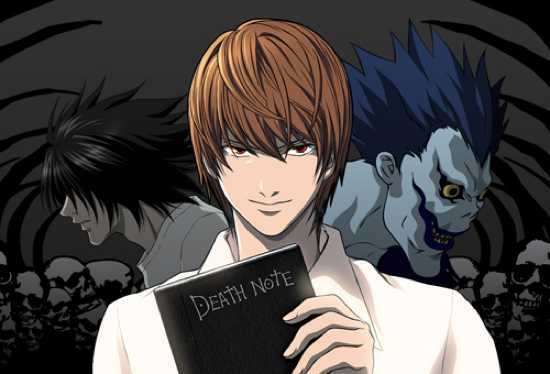 Well, this is about a high school student Yagami Light, who finds a mysterious notebook, called Death Note that allows him to kill whoever’s name is written in it. Light uses this notebook to kill prisoners, but the police soon catch wind. The world’s greatest detective, L, and so a suspense packed cat-and-mouse game ensues as each tries to keep one step ahead of the other. Slam Dunk centers around Hanamichi Sakuragi, who starts as a delinquent outcast, becoming the leader of a gang. Hanamichi, being very unpopular with girls, has been rejected by them fifty times. Yet, he finds out that Haruko Akagi is the girl of his dreams, and is happy when she’s not scared of him like all the other girls he has asked out. Haruko Akagi, who recognizes Hanamichi’s athleticism, introduces him to the Shohoku basketball team. Hanamichi was reluctant to join the team at first because he had no previous background in any sports and thought that basketball was a game for losers (also because the fiftieth girl rejected him for a basketball player). Sakuragi, despite his immaturity and hot temper, proves to be a natural athlete with potential and joins the team in order to impress Haruko and prove that he is worthy of her. 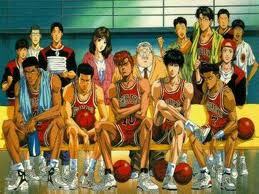 Later on, Sakuragi realizes that his love for the sport equals that of his crush on Haruko. Kaede Rukawa — Sakuragi’s bitter rival (both on the basketball court and love, even when Rukawa doesn’t acknowledge Haruko’s crush on him), the star rookie and a “girl magnet” – joins the team at the same time. Hisashi Mitsui, an ex-junior high school MVP, and Ryota Miyagi, a short but fast player, both also rejoin the team and together these four struggle to complete team captain Takenori Akagi’s dream of making Shohoku the national champion. Together, these misfits gain publicity and the once little known Shohoku basketball team becomes an all-star contender in Japan. It portrays the values of friendship and loyalty alongside action and comedy, with unique characters and amazing character development. Bleach. (Not the bleach that’s used in laundry.Haha)The story focuses on the high school student Ichigo Kurosaki, who is given the powers of a soul reaper to save his family. It is now his job to protect humans and souls alike from hollows. Soon after, however, the reaper who gave him her powers is sentenced to be executed, and Ichigo decides to save her along with his friends. 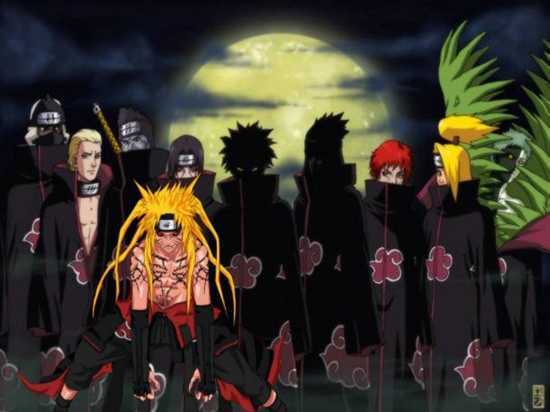 Thus a conspiracy within Soul Society, the land of the dead, is revealed and becomes the main plot line in the series. Sadly, various filler arcs disrupt this plot, making it less enjoyable. Chōdenji Machine Voltes V (超電磁マシーン ボルテスＶ Chōdenji Mashīn Borutesu Faibu?, Super Electromagnetic Machine Voltes Five) is a Japanese anime television series that was first aired on TV Asahi starting June 4, 1977. It was created by Saburo Yatsude (a pseudonym referring to a committee within Toei Company) and directed by Tadao Nagahama. 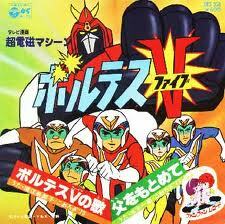 Voltes V is the second part of the Robot Romance Trilogy of the Super Robotgenre which includes Chōdenji Robo Combattler V and Tōshō Daimos. Doraemon (ドラえもん Doraemon?) 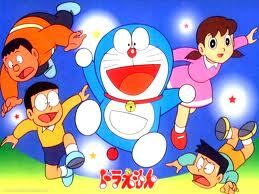 is a Japanese manga series created by Fujiko F. Fujio which later became an anime series and an Asian franchise. The series is about an intelligent robotic cat named Doraemon, who travels back in time from the 22nd century to aid a schoolboy, Nobita Nobi (野比 のび太 Nobi Nobita?). The series first appeared in December 1969, when it was published simultaneously in six different magazines. In total, 1,344 stories were created in the original series, which are published by Shogakukan under the Tentōmushi (てんとう虫?) manga brand, extending to forty-five volumes. The volumes are collected in the Takaoka Central Library in Toyama, Japan, where Fujiko Fujio were born. Anime have been the part of the everyday living of its viewers from all walks of life, with the values that these anime brought to us, the entertainment also is the most magnificent thing to be considered. For me, watching these anime relieves my everyday stress. As I have also observed, these anime have strong and realistic color which also an aid for bringing entertainment to its viewers. These anime also encompasses the great love of Japanese in arts.